Habitat: Upland, Mountain. 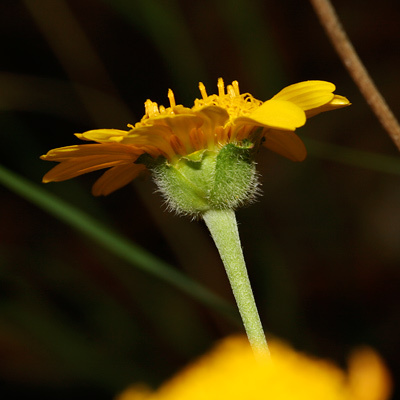 This attractive wildflower grows in sunny to shady locations in rocky canyons, on slopes, in grassy areas, and in oak woodlands at low to middle elevations in the mountains. 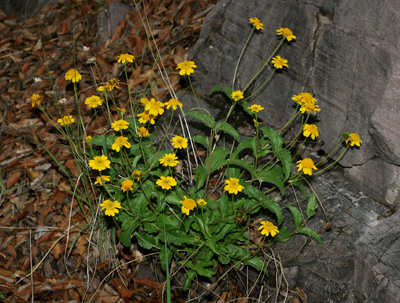 Description: The flower heads have long flower stalks, large, broad, green, hairy phyllaries, bright yellow, elliptical, longitudinally-creased, shallowly-notched rays, and golden yellow disk flowers that are green before opening, giving the young flower heads the appearance of green-eyed daisies. The leaves are green, scabrous (rough-feeling), hispid-hairy (especially below and along the margins), opposite, lance-shaped, and very short petiolate (sessile-appearing). 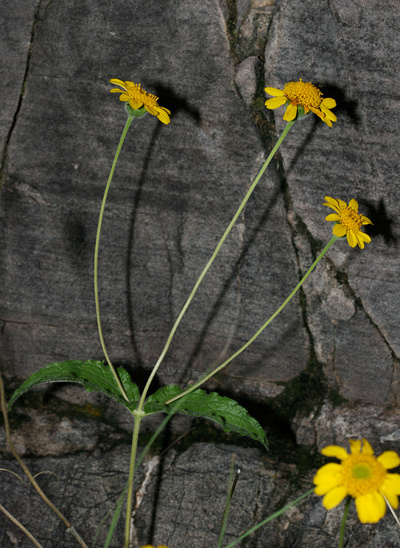 The stems are erect, branched, hispid-hairy, and green to brown in color. 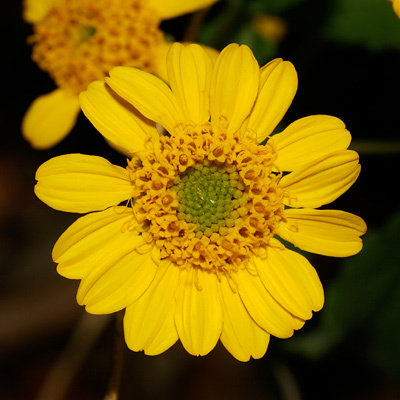 The plants have multiple tuberous roots that have been used in traditional herbal medicine.